I've mentioned this before, but just in case people haven't seen it. "if" you want to hard wire the ring doorbell, you can use a wired door chime transformer like the Byron 776 and wire it to a mains plug. 1). Your Ring doorbell will always be wired and you won't have to take it off to charge the battery. 3). The Byron 776 will chime indoors when the Ring doorbell is pressed. 4). You don't need a Ring Chime & it's cheaper. "No knock down ginger "
"Everyone knows it's called knock down ginger"
You're all wrong as it's actually called the "DPD delivery game". 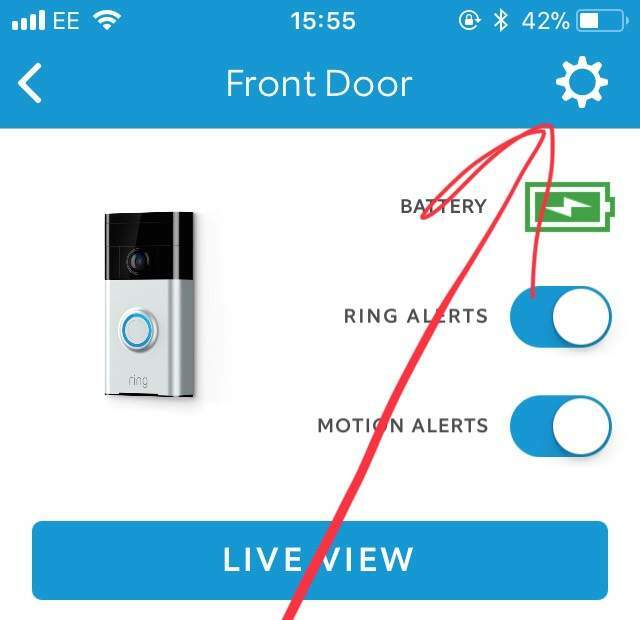 These are excellent provided you already have a mains doorbell so you can use the wires to connect it to the mains which will provide a constant charge,if your running it just off a battery expect to be charging a lot. The battery went down 30% just during set up before I fitted it! Fitted mine two days ago and it’s brilliant,really impressed!! I’m really impressed too. Bagged one the other day for £74 via Amazon warehouse. You definitely (IMO) need the optional Chime, as most peeps I suspect have their phones on vibrate at home in the evening while watching tv etc, so easy to miss a call/motion alert. I got the Chime the next day, v pleased so far. I’m really impressed too. Bagged one the other day for £74 via Amazon wa …I’m really impressed too. Bagged one the other day for £74 via Amazon warehouse. You definitely (IMO) need the optional Chime, as most peeps I suspect have their phones on vibrate at home in the evening while watching tv etc, so easy to miss a call/motion alert.I got the Chime the next day, v pleased so far. This is the only fault I’d pick with this....why on earth does it need to “ring” outside when pressed and seemingly you can’t mute that even when you have the chime?! Mine is connected to the mains so I’ve got the chime muted anyway and my original doorbell “ding dongs” when the bell is pressed but it would be great if the unit itself outside didn’t “chime” when pressed. WOW! Heat heat heat, I need this! If you have the motion sensors turned on it picks up movement and alerts you someone’s at the door before they ring the bell! Yes it’s defiantly the first version,the Ring 2 has vents on the side of the doorbell unit. I have only charged battery twice since beginning of June, I wonder if u have a faulty battery? 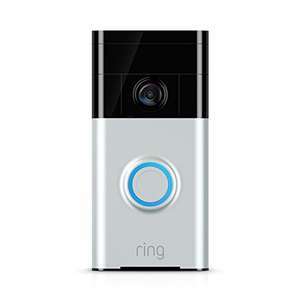 Yes it’s defiantly the first version,the Ring 2 has vents on the side of t …Yes it’s defiantly the first version,the Ring 2 has vents on the side of the doorbell unit. you can use 3ukring50 on the ring site to get £40 off. £100 doorbell.What a time to be alive! I really could have done with this 2 weeks ago when the third person this year came to the door. I saw them walk down the drive and heard my 2 quid doorbell but what the heck would I have done if I was in the next room! I often wonder, what do people do without this? Especially those above who say they use in conjunction with another doorbell! Holy craps, I just saw you need to buy a seperate item if you want a chime! These are excellent provided you already have a mains doorbell so you can …These are excellent provided you already have a mains doorbell so you can use the wires to connect it to the mains which will provide a constant charge,if your running it just off a battery expect to be charging a lot.The battery went down 30% just during set up before I fitted it! Na, running on battery is fine. Ring claim six months on a charge. I'd say more like three months. Still fine. Just remove, recharge and replace. Easy. It's excellent isn't it.I really could have done with this 2 weeks ago …It's excellent isn't it.I really could have done with this 2 weeks ago when the third person this year came to the door. I saw them walk down the drive and heard my 2 quid doorbell but what the heck would I have done if I was in the next room!I often wonder, what do people do without this? Especially those above who say they use in conjunction with another doorbell! Before I had mine I would often have to make special trips to the sorting office or rearrange deliveries because I was out,where now if a delivery turns up out of the blue then I can ask them to put it somewhere where I know it will be safe,which is far safer than leaving a note on the door with instructions of where the local thief can find me parcel to. That's just one example.How do you manage to see and talk to someone at your front door when you are out of the house ? The the people who don't see the positives in these are people who don't often go out/don't have many people coming to their door,which is fair enough and this isn't a product for them. This just killed off the 'knock on door and run' games for all our active kids out there! This just killed off the 'knock on door and run' games for all our active …This just killed off the 'knock on door and run' games for all our active kids out there! Err, it's called knock and run. How come i made a video and posted it up to help other people out and yet people give it the thumbs down on YouTube. I would genuinely like to hear from anyone who doesn't like it and to their reasons why,as I like to make the odd video to help others out and don't mind constructive criticism if i didn't do something right. Not really helping anyone it's what 15 seconds long and shows pretty much the same time to come up on your tablet using 4g and wifi. Not really helping anyone it's what 15 seconds long and shows pretty much …Not really helping anyone it's what 15 seconds long and shows pretty much the same time to come up on your tablet using 4g and wifi. People often raise the question on how long does it take from pressing the button until a phone/other device reacts on wifi or on 4G,as some people say that there is a massive delay (like 15 seconds or more) to the point the person who rings the bell has gone by the time the receiving device goes off. This short video shows that isn't the case and I felt that it didn't need to be 15 minutes long when 15 seconds shows what you need to know. How would you have done it ? I'd also argue that it must help some people as it's flagged as the top comment. 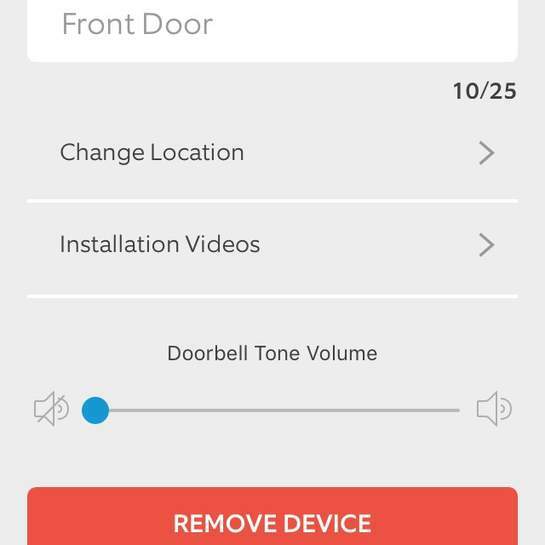 How do you turn the Chime on the actual doorbell down or is that on version 2 only? That's the thing I don't like it's loud and attracts attention to it. We called it chap Door runaway back in the day. I wish I could thumbs down this post. Rude. Called Amazon, £5 credit applied to account as bought at £99. How do you turn the Chime on the actual doorbell down or is that on … How do you turn the Chime on the actual doorbell down or is that on version 2 only?That's the thing I don't like it's loud and attracts attention to it. A good price but it is around 3 years old now. Having said that ring.com still regularly update the firmware one these. Iv had mine for well over 2 years now and has saved having items redelivered if no signiture is required. 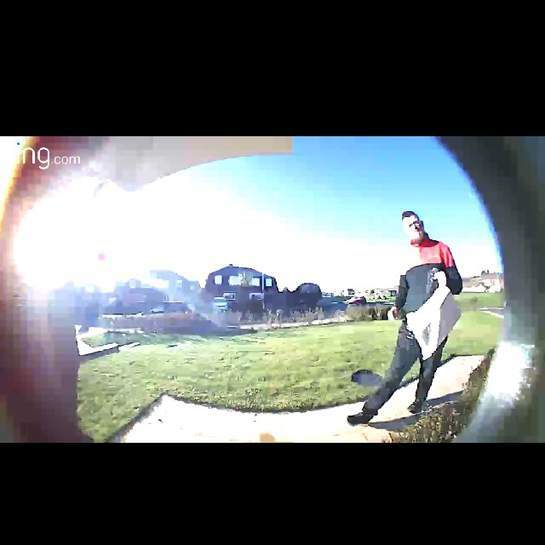 I am a amazon prime member and our delivery driver always seem to come as I'm getting back from school run. Most times I can say il be there in a minute or leave it safe place. People often raise the question on how long does it take from pressing the …People often raise the question on how long does it take from pressing the button until a phone/other device reacts on wifi or on 4G,as some people say that there is a massive delay (like 15 seconds or more) to the point the person who rings the bell has gone by the time the receiving device goes off.This short video shows that isn't the case and I felt that it didn't need to be 15 minutes long when 15 seconds shows what you need to know.How would you have done it ? It's fine mate,I asked for any criticism and that's what I got.